With two daughters, I’m always seeking inspiration for girls’ bedroom ideas. This summer, my 2-year-old started climbing out of her crib so we decided it was time to convert her space from a nursery to a big girl bedroom. 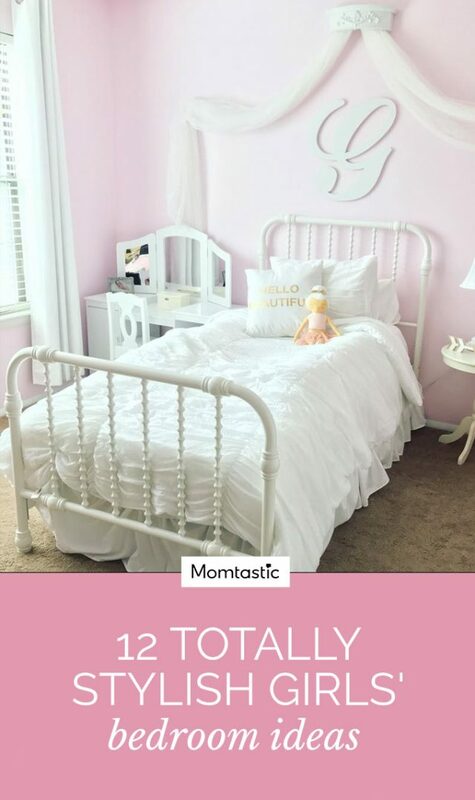 I hit up my usual sources: Pinterest, Instagram, and good old Google for the best girl bedroom ideas to create a special space for my daughter. Bedroom ideas for girls that we loved included anything whimsical and functional. You want the space to feel at once homey and inspiring. There are moms who swear by only having bedrooms as a place to sleep; I prefer to create kids’ bedrooms that are also fun. It’s nice to be able to read, play, and rest in your own space. Since our daughter’s room is sizable enough, we created separate areas for sleep and play while also maximizing her closet for storage. She has a play tent in one corner, a dress-up area, and a large, low-hanging mirror to spark the imagination. My taste sways toward the ultra-feminine, but there are plenty of girls’ bedroom ideas with monochrome, unisex, or a pared-down girly feel.